At Daily Poppins, we have many examples of franchisees achieving their ambitions of building successful businesses. Here are just a few. 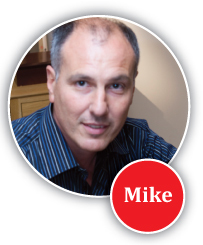 For many years Mike worked in international sales development primarily covering Italy. However Mike was interested in developing his own business. As a property developer, Mike was also looking to extend his entrepreneurial skills, look for a second income business and additionally involve his wife, Kelly who had worked in a cleaning environment for a period of time. After much research and attending franchise exhibitions Mike chose Daily Poppins. As Mike reflected on his early days ” it was excellent support, I could not have asked for more. From day one, it was clear they fully understood the business and knew the answers I needed. They were always helpful, very much confirming their supportive culture”. As Mike now continues to develop his property and other business interests, he is delighted that with little effort, he has created a profitable and stable business for his wife to benefit. Since a young age Karen always wanted to go it alone “I left school in 1985 and was always keen to have my own business however I knew I was too young and so joined Axa insurance as an office junior. It was good experience for me as I stayed there for 11 years working my way up to be a team leader. 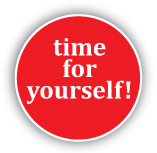 I kept challenging myself and completed the Chartered Insurance Institute exams. But I knew I would not be in the business all my days. Eventually in 1996 I left as I was expecting my first child. Bored n the house I took a part time job in a call centre for a few months then I returned to full time employment as a mortgage consultant for four years in 1997. 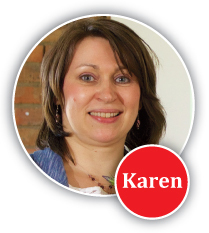 Karen was not in any put off the idea of self employment and indeed was keen to return one day “I then worked as a mortgage consultant for three years and unfortunately then had a further three years unable to work due to illness however early last year the opportunity arose which I had been waiting for. Daily Poppins Dundee which had been set up as a pilot operation was for sale. Although there was seven other parties interested in buying it, the franchisor favoured me and I started with a turnover of £7000 per month. Some eighteen months later I am turning over £18000 per month with an aim to take that up to £25000 per month by the financial year end. We are doing so well, my partner Noel has now left his job and joined me to develop a multi territory business. 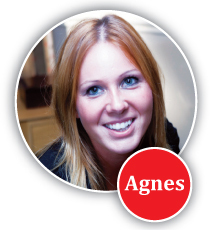 While it is challenging again running my own business, it gives you a wonderful feeling”. are independently owned and operated. 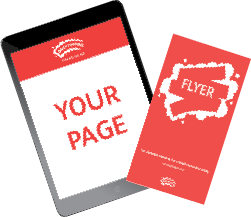 Copyright © 2017 Daily Poppins Ltd, This site is provided by Daily Poppins Ltd for the use of its franchise network. Franchises are independently owned and operated.